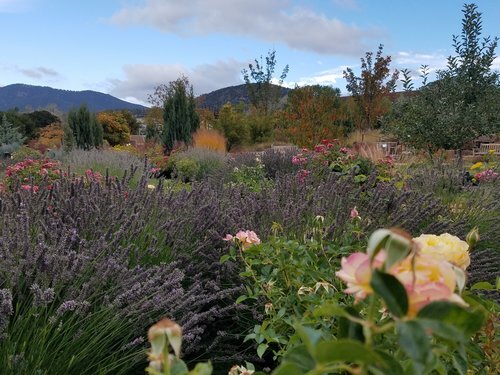 Dan Ostermiller’s third botanical garden show, Gardens Gone Wild, opens on May 26. The Santa Fe Botanical Garden at Museum Hill will feature a collection of Ostermiller’s monumental sized animal sculptures – realistic, spontaneous and spirited. 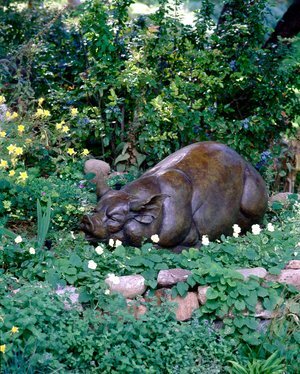 Gardens Gone Wild will include more than 20 bronzes, from bears and bullfrogs to barnyard hens and backyard rabbits. The exhibition, designed to surprise and delight visitors of all ages, will be on display through May 12, 2019. We hope you will have a chance to enjoy this animal adventure at the Santa Fe Botanical Garden.